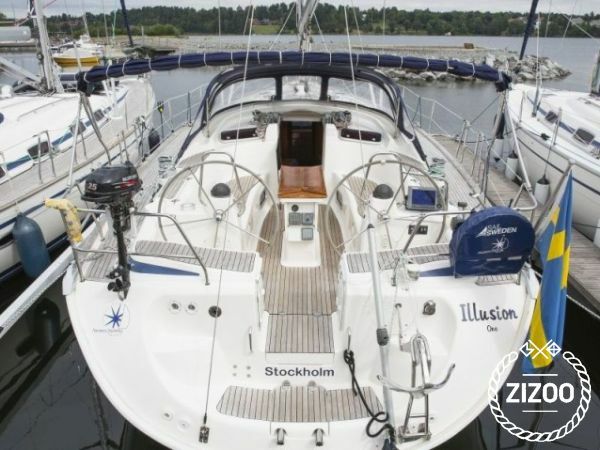 Looking to combine a fun time sailing whilst challenging your mind and body, why not book the Illusion, a 2006 Bavaria 46 Cruiser based in Lidingo, Sweden. This wonderful sailboat features 4 cabins and 2 bathrooms, a fully equipped kitchen and cosy salon. Explore the surrounding islands and head out onto the Baltic Sea feasting on Swedish delicacies such as shrimp, smoked salmon, wild rosehip soup and princess cakes. Don't forget the nation's famous cheeses and chocolates. And after days of indulging attend the Lidingoloppet, the world's largest cross-country race. With a variety of events that range from 1.7k to 6k for kids, the women's 10k race, and the challenging 30k race, you can enjoy running, jogging or walking on beautiful trails through lovely lush forests among beginners and expert runners alike. So, book a fun, active and healthy holiday in Sweden today. For info on sailing routes and destinations, don't hesitate to contact your local charter crew for more details. A sailing holiday in Sweden is a unique way to enjoy this scenic country, which offers diverse coastlines and excellent conditions conditions for a boat trip. Cruise the Baltic Sea to the east of Sweden, and visit the island of Gotland and Öland with their lush green landscapes or sail up the Gulf of Bothnia, stopping at the colourful port city of Örnsköldsvik. Enjoy these sights and more when you charter a yacht in Sweden.